I also don't see any related settings within the Azure Resource Explorer. I am aware that I have to use a newer API version as well but I don't know how to enable the feature using an ARM Template? I don't think you can (at least as of today). ARM templates are meant for controlling the Control Plane whereas Static Websites Settings feature is exposed as part of Data Plane which is accessed by Storage Service REST API. 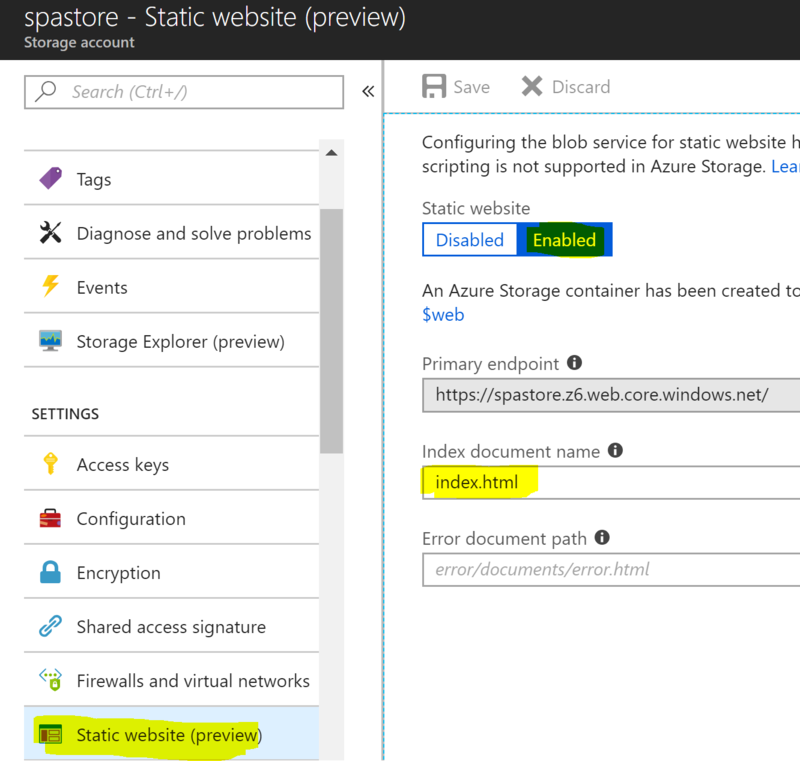 With the announcement of RBAC (and Azure AD roles) for Azure Storage, I am seeing some of the operations from Storage Service REST API becoming available in Storage Resource Provider API, so my guess is that sooner or later this functionality will be exposed there as well. Then you should be able to configure it through ARM templates. Not the answer you're looking for? Browse other questions tagged azure azure-storage azure-storage-blobs azure-resource-manager or ask your own question. Can one develop non-nested azure arm firewallrules?